Whether her look is a hit or miss, Tyra Banks is always confidently happy with her look. She attended the 2018 American Music at the Microsoft Theater this evening(October 9th) in LA. 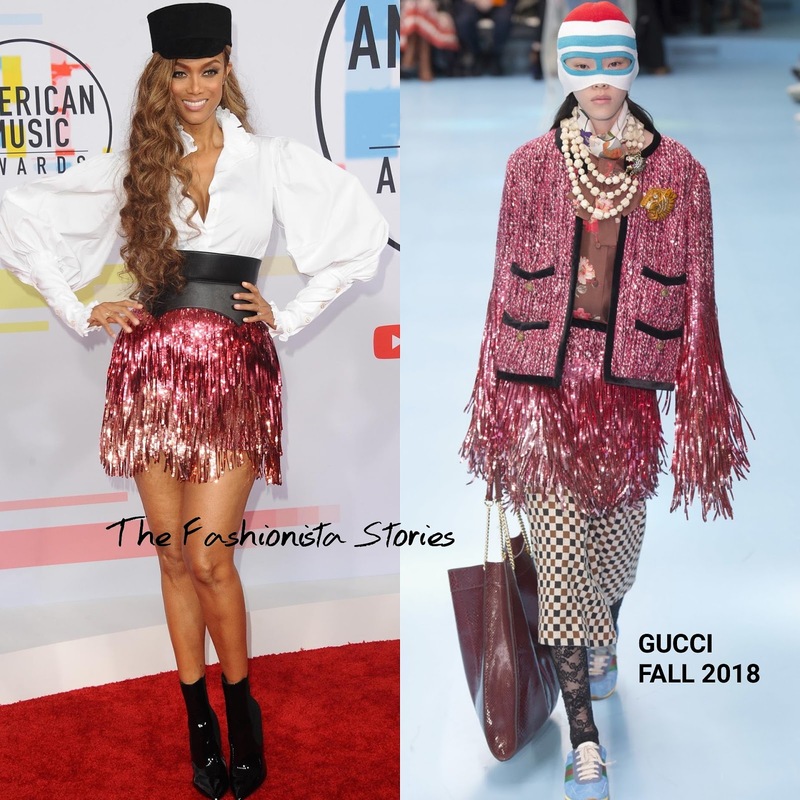 Tyra has started working with a new stylist and I think this CAROLINE CONSTAS top and GUCCI FALL 2018 skirt is a much better look than what I have seen from her AGT looks. However with the addition of the hat, her look hits the train conductor border. Also I wish that her hair was completely off-the-shoulder and I would swap out the boots for a sleek pump. She is serving up train conductor chicness, are you feeling the styling of Tyra's look?